Motorola Razr looks set to recharge its long sleeping Razr brand, which was a household name in the mid-00s at the height of the popularity of flip-phones. The rumoured reimagining of the handset, which has been mooted since the hugely-successful relaunch of the Nokia 3310 two years ago, will purportedly combine the hinged design of the original 2004 flip-phone with a folding OLED display. Motorola Razr will be a high-end flagship smartphone with a price tag that competes with the latest iPhone models and the forthcoming folding Samsung Galaxy X. The new Motorola Razr will be exclusive to US mobile carrier Verizon, with only 200,000 units available. It’s currently unclear whether the phone will even make to store shelves outside of the United States. Motorola is expected to keep the same industrial design of the original July 2004 Razr V3, albeit with a very modern twist. Open up the new Motorola Razr and you’ll be able to see just how much has changed. 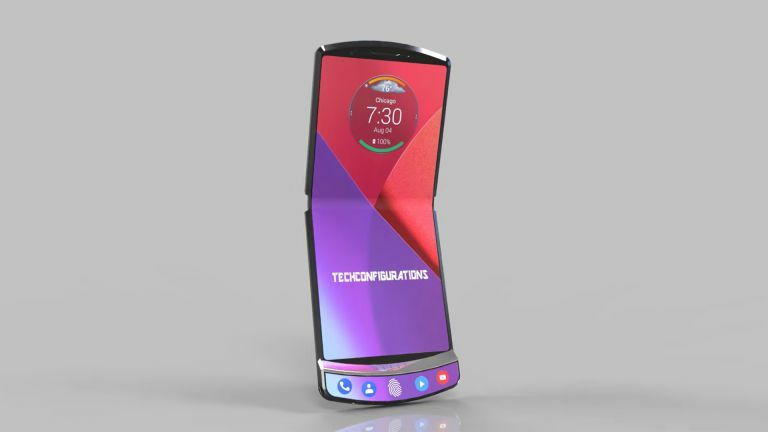 According to the patent schematics and rumours from the supply chain, the new Razr will have a foldable OLED display that runs the length of the handset. Like the iPhone XS Max and Pixel 3 XL before it, Motorola will use a notch at the top of the screen for the earpiece, and probably a selfie-camera. Based on the schematics included in the latest patent from Motorola, there will be a single rear-mounted camera, as well as a fingerprint scanner just below it. Motorola recently moved every model in its new Moto G7 range to a rear-mounted fingerprint scanner to increase the size of the display. This external screen will not be able to run every Android app installed on your smartphone. Instead, Motorola is believed to be limiting the touchscreen to a select few system apps, like Moto Display, Moto Actions, and the Moto Camera app. That is a very different approach to the Samsung Galaxy Fold, which treats its 4.6-inch so-called Cover Display as a traditional smartphone screen that runs anything the larger folding screen can – albeit it’s limited to two app multi-tasking, not three like the 7.3-inch Flex Display. As well as core system apps, the external display on the Motorola Razr can be used to show up to six Quick Settings tiles. These will be similar to those in the dropdown available at the top of the display on all Android smartphones and will allow users to quickly toggle Airplane mode and the like without interrupting whatever they’re doing on the main screen. It’s unclear whether Motorola will allow users to scroll to see more than the six tiles displayed on the screen at any one time.